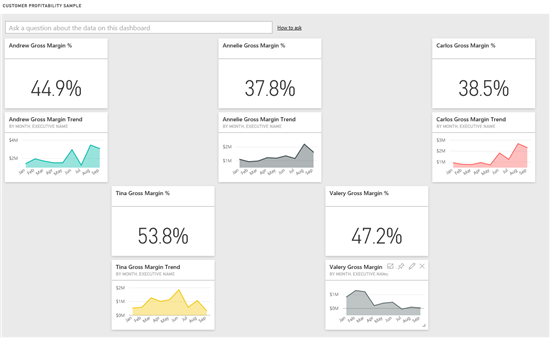 Sometimes, you may want to create dashboards that have similar tiles for different groups of viewers. For example, you may have a dashboard for a manager that has tiles for all his direct reports and a dashboard for each of their reports with only the tiles that pertain to them. Previously you would have to make each dashboard individually, but now you can use an existing dashboard as a starting point, and just duplicate it as many times as you need. To do this, start with the dashboard you want to duplicate. 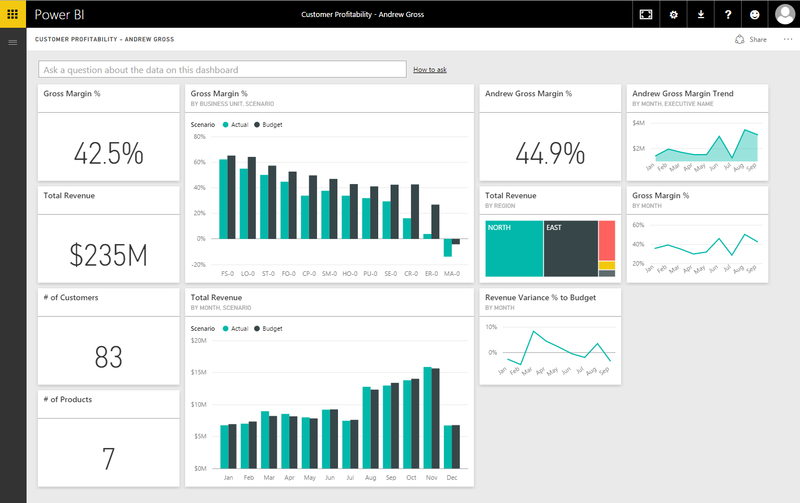 In this case, we are starting with a dashboard showing key metrics for a business, including metrics for each report. To make a dashboard for each report, you just need to click the ‘…’ on the dashboard’s top right and select Duplicate Dashboard. Give the duplicate dashboard a name. And finally, modify the new dashboard as you see fit. In our case, we removed the tiles that pertained to the other reports and rearranged a few tiles. Previously, tiles always gravitated towards the top left corner of the dashboard unless there was another tile in the way. 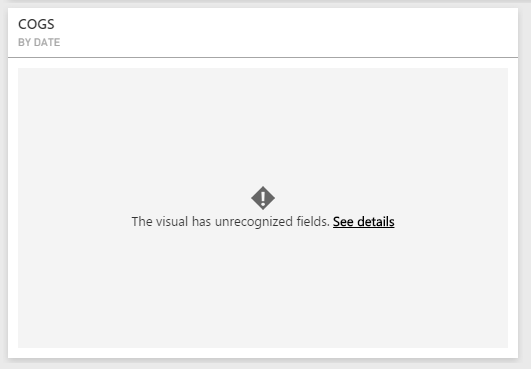 Now, you no longer are restricted to that layout when designing the layout of your dashboards. You have full control to put your tiles wherever you choose on the dashboard. 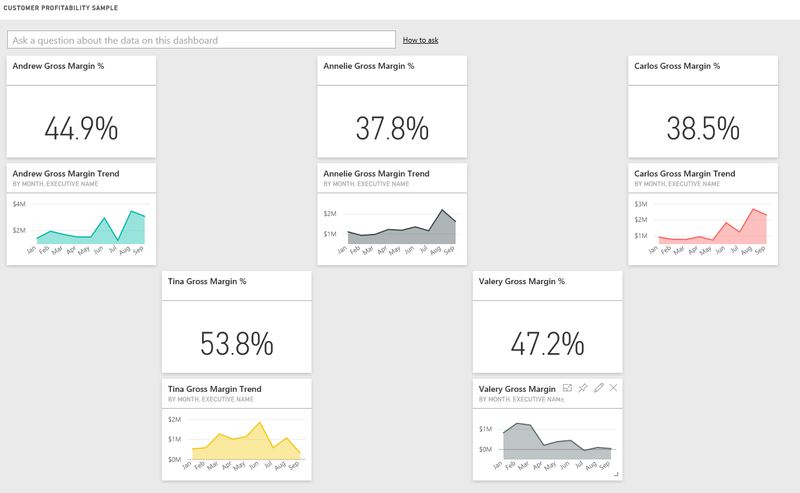 To make presenting your dashboards and reports even easier, we have made some improvements to Full Screen Mode. 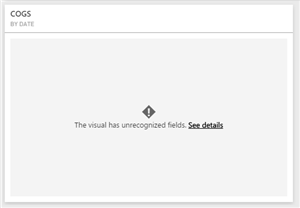 Now, when you click through a dashboard to a report in full screen mode, you can easily rotate through the report pages. You can move left and right within the report pages and back to the dashboard by using the controls on the bottom right that appear when you move your mouse. Not using a mouse? You can also navigate with your keyboard! Use the left and right arrow keys to move back and forth, and the backspace to go back. The space bar toggles you fit to screen view and Esc exits you out of full screen mode. 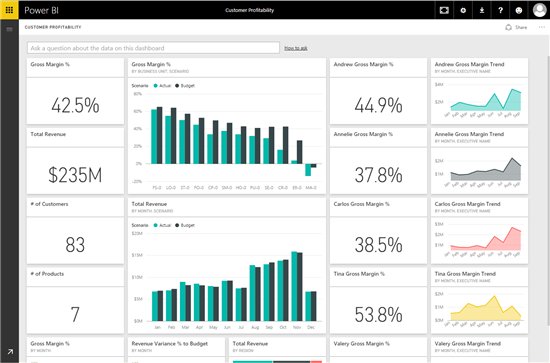 Power BI groups bring you and your colleagues together to collaborate, communicate and connect with your data. 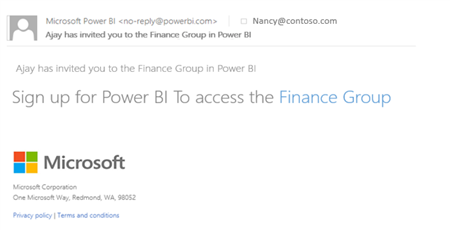 You can create a group either in Power BI or Office 365. Then, you can invite co-workers into this group workspace where you can collaborate on your organization’s shared dashboards, reports and datasets. Read more about how to create Power BI Groups. 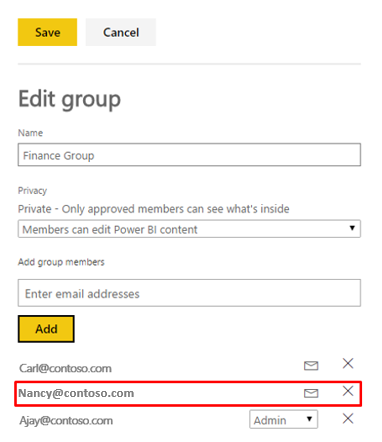 Until now, if you wanted to invite peers from your organization to your Power BI group, they needed to be in Azure Active Directory (they are already a user of Office 365 or Power BI user). Now, you can invite peers from your organization to your group, even if they are not in Azure Active directory. 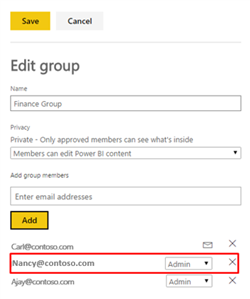 The experience to invite users not in AAD to Power BI Groups is the same as it is for users already in AAD. 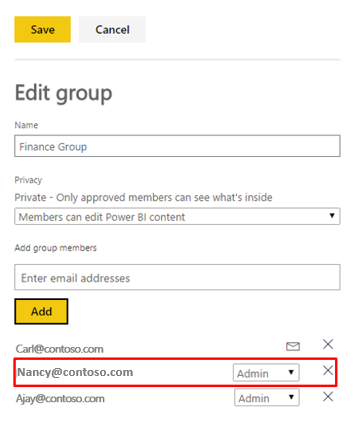 You can edit an existing Group and add a colleague to the group. 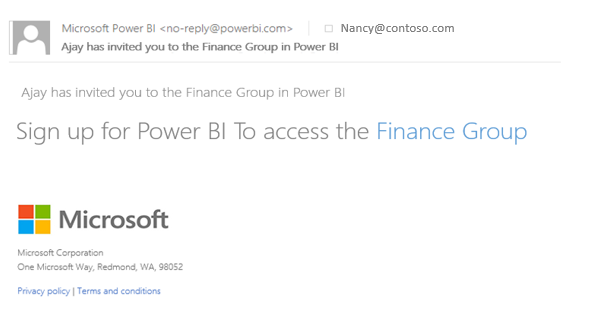 If the colleague is not a Power BI user and their identity is not AAD, Power BI sends an email invite to Nancy to join Power BI. 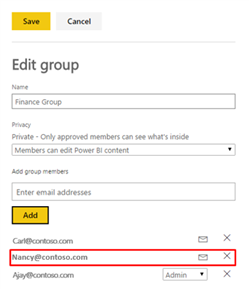 Once they sign up for Power BI to access the group, you will see them as a member of the group. On occasion, you may encounter errors on your tiles. These could be due to many different issues, such as a field name changing in a dataset. We want to help you get going again as soon as possible when these errors happen, so we improved the messaging you get when these errors happen. You will be able to view details about the error, and if you need extra help, access a troubleshooting article in our documentation by clicking Get help. We hope that you like these new features. Try them out and let us know what you think in the comments section below!